The districts of Tiruvallur, Chennai and Kanchipuram once boasted of a landscape densely dotted with wetlands and a lifestyle that was closely linked to the survival of these water bodies. 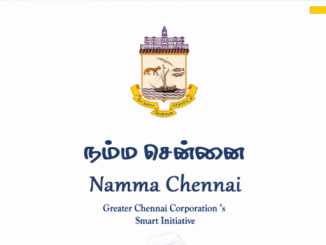 With the boundaries of the Chennai metropolitan area considerably distended and concrete slowly creeping into the city’s many tanks and ponds, there is an urgent need to retain whatever little waterscape we are left with. The NGO Care Earth Trust, along with The Nature Conservancy and the Indian Institute of Technology, Madras, has embarked on a project to restore one of South Chennai’s prominent waterbody—the Sembakkam lake. With a current water-spread area of around 100 acres, the lake is a part of the cascading system that drains into the Pallikaranai marsh. As part of their initial assessment, plant ecologist Muthu Karthick and his colleagues Vinoth and Vivekananthan from Care Earth Trust set out to identify plants, birds, reptiles and amphibians in a two-kilometre radius around the lake. “The survey threw up a wealth of information; a total of 189 plant species were recorded within and along the lake’s periphery. A sizeable number of medicinal plants were also recorded along the bunds of the Sembakkam lake,” says Muthu Karthick. Aquatic plants are considered as the lungs of a lake since they play a major role in regulating turbidity and also in maintaining the biological oxygen demand. Their diversity is of utmost importance as it is indicative of a wetland’s overall health or the lack of it. While the diversity along the bunds is impressive, Karthick notes that the aquatic biodiversity is rather low—a mere 11 aquatic species out of the total 189. 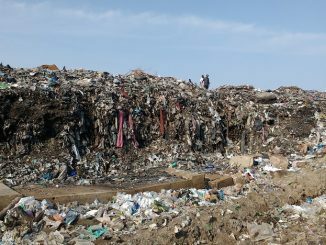 A host of factors could be responsible for this but untreated sewage and polluted sullage inflows stand out as the most probable causes here. The city’s waterbodies have a heady mix of both culinary and medicinal herbs. Native herbs, shrubs and climbers love lake peripheries given the abundance of water and sunlight they are likely to get. That anthropological interferences are usually minimal along lake slopes also bodes well for their survival. The herbal wealth of the Sembakkam lake remains hidden to the untrained eye. Even the memory-enhancing herb Brahmi (Bacopa monnieri) is present all around the water body’s periphery. But it fails to excite Karthick and his colleagues any more than a Karpooravalli or Tulasi would. That’s because Karthick says Brahmi is present abundantly in the urban landscape but we often miss it because we have lost touch with nature. A herb native to the wetlands of southern India, Brahmi is an Ayurvedic staple known to treat epilepsy, asthma, inflammations and tumours. 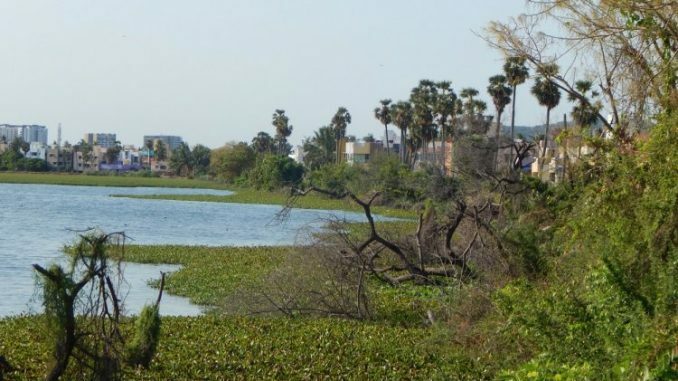 “Brahmi has been sighted in a few other waterbodies in the city as well, including the Ambattur eri and the Narayanapuram wetland,” says Care Earth’s resident botanist Vivekananthan. 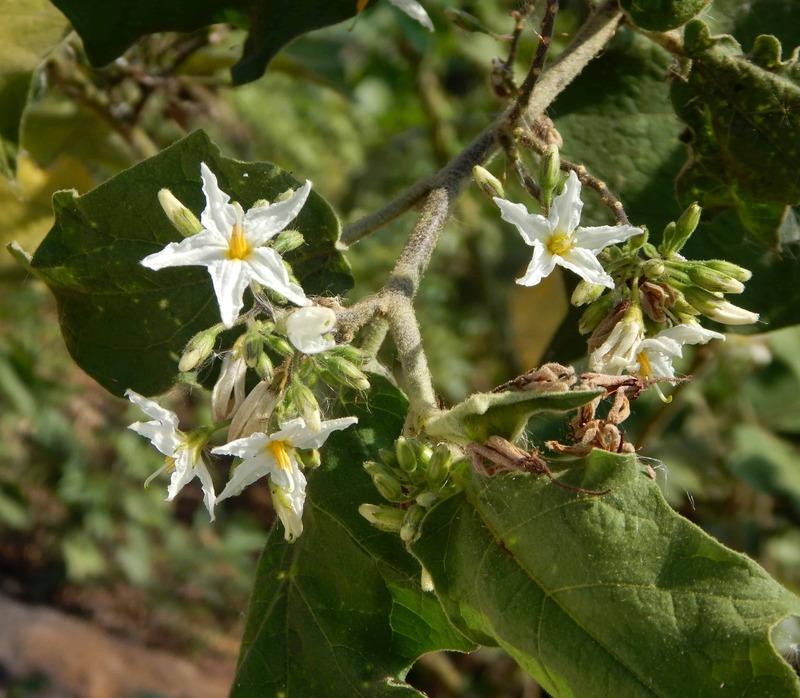 A species of nightshade, Kandankathiri (Solanum virginianum) is an important component of the Dasamoola rasayanam, an Ayurvedic preparation to treat cold, cough and rhinitis. 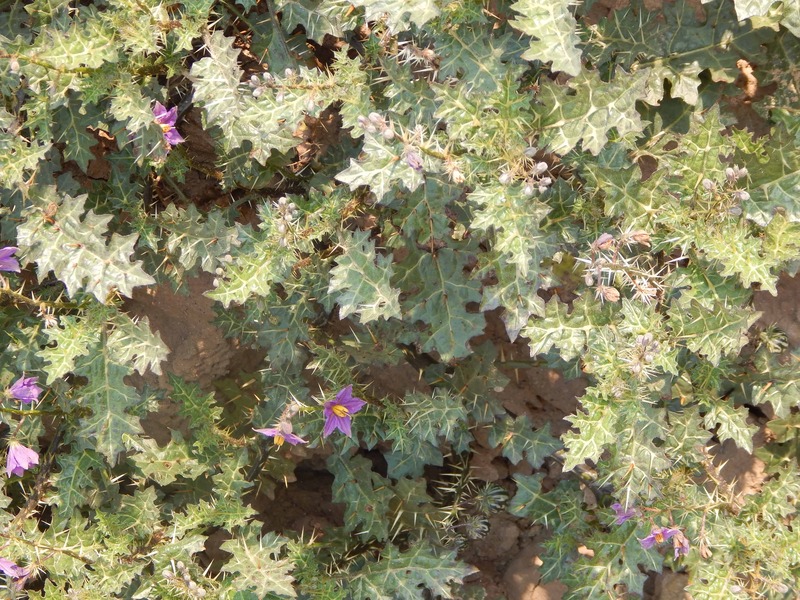 This herb, indigenous to the landscape is present along the lake bund. Similarly, the aromatic Nochi(Vitex negundo) leaves which have direct medicinal uses has also been recorded. In addition to relieving cold, smoked green Nochi leaves are used to control mosquitoes. Kizhanelli (Phyllanthus amarus) and karisalanganni (Eclipta prostrata), the two herbs widely used in both the Siddha and Ayurvedic systems of medicine for treating liver diseases, are also found along the lake bund. “The lake is a veritable trove of wellness, waiting to be tapped. More people need to be made aware of the abundance so that at least the more commonly found medicinal plants are put to proper use,” says Karthick. A sizable variety of green leafy vegetables are seen thriving along the Sembakkam lake’s bund. Ponnaganni keerai(Alternanthera sessilis), Thoyya keerai (Digera muricata) Mullu keerai and kuppai keerai (both being varieties of Amaranthus) are found in abundance here. Plants such as kovakkai (Coccinia grandis), bitter gourd, sundakkai(Solanum torvum), karuveppilai (curry leaves), cucumber, papaya make their appearances as well. Not just the commonly identifiable plants, the lake is a treasure trove of a variety of other edible herbs and creepers which have, over time, gone missing from our plates. “The bunds house a variety of edible fruits and green leafy vegetables that are not commercially cultivated but were once used by the community either for local sale or domestic consumption. With traditional knowledge now becoming sparse, only the older members are able to identify and harvest these plants for domestic use,” remarks Karthick. Case in point is the mudakkathan keerai (Cardiospermum halicacabum). This climber, indigenous to the landscape and seen thriving in moist localities works wonders for gastrointestinal health. The leaves are known to relieve constipation and promote digestion while the seeds help the body recover better from fever. Similarly, Thoodhuvalai (Solanum Trilobatum), an indigenous medicinal herb packed with natural steroids has been sighted along the lake bunds as well. “Most of these fruits like the Singapore cherry, locally known as Nei pazham or thaen pazham, Alangi fruit of Alangium salvifolium, the Indian fig (Ficus racemosa) rarely make it to the market as they are usually used for local consumption. They are hardly sold, and even if they are, you can find them only in select markets,” notes Karthick. Both from the nutrition and economics standpoint, the erosion of local knowledge only means one thing—lost opportunities. Despite the availability of a considerable number of herbs, the absolute dearth of knowledge on the combinations and manner of use renders this particular provisioning service of the ecosystem rather fruitless. 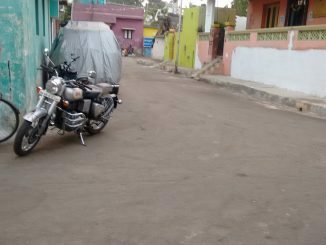 While the panchayat places no restriction on access or use of these resources, lack of knowledge on their importance is a serious impediment. “When local knowledge is lost, over a period of time, the plant comes to be considered as a weed since its economic and nutritional importance has already become obscure,” mentions Karthick. Even when harvested and sold, these herbs do not fetch a premium price as most people are unaware of their existence or importance. Usage apart, the fact that an urban waterbody could be so rich and diverse in terms of beneficial plant species is heartening. Plans to restore the waterbody have been drawn up and once implemented, it is up to the community to take charge and utilise the wealth from the local landscape to their advantage.